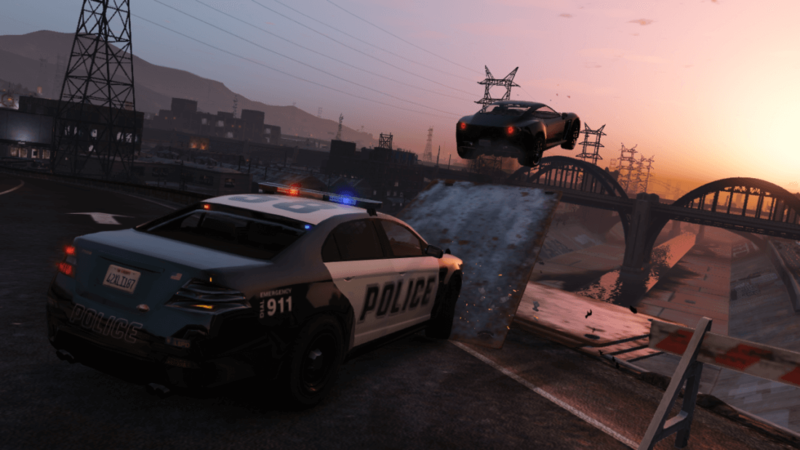 Last weekend, an incident took place that, unfortunately, some may use as fuel for the ‘video games corrupt young minds’ argument: an 11-year-old boy was caught driving down Ontario’s Highway 400 after a night of playing Grand Theft Auto V.
“Drivers called it in thinking it was probably an impaired driver, because the vehicle was all over the highway,” said Sgt. Kerry Schmidt in a video posted on the Ontario Provincial Police’s (OPP) Twitter Page. With the boy now driving at close to 75mph, a second officer was called. They were able to box the car in and bring it to a rolling stop, at which point the police discovered it was an 11-year-old behind the wheel. The officers asked the boy why he had decided to take his parents’ vehicle out for a spin. “(He) had just been finishing playing Grand Theft Auto at home and wanted to find out what it was like driving a car,” said Schmidt. Turns out Mom and Dad were sleeping when their son went on his joyride. Sadly, there will likely be some anti-gamers who place the blame completely on GTA V rather than the parents, despite the fact that it is rated M for Mature (17-years-old and over). But, as anyone who has played an online Call of Duty match will tell you, these age restrictions are often ignored.